Are you as excited as I am about this? On Friday, Jan 12 grab your family and some marmalade sandwiches and head to the theaters to watch Paddington 2. I told you so! I laughed out loud when he said "its just one red sock...". "Following the worldwide hit “Paddington,” one of the most successful family films of all time, this much-anticipated sequel finds Paddington (Ben Whishaw) happily settled with the Brown family in London, where he has become a popular member of the local community, spreading joy and marmalade wherever he goes. While searching for the perfect present for his beloved Aunt Lucy’s hundredth birthday, Paddington sees a unique pop-up book in Mr. Gruber’s antique shop and embarks upon a series of odd jobs to buy it. 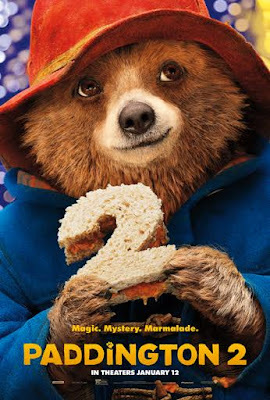 But when the book is stolen, it’s up to Paddington and the Browns to unmask the thief. 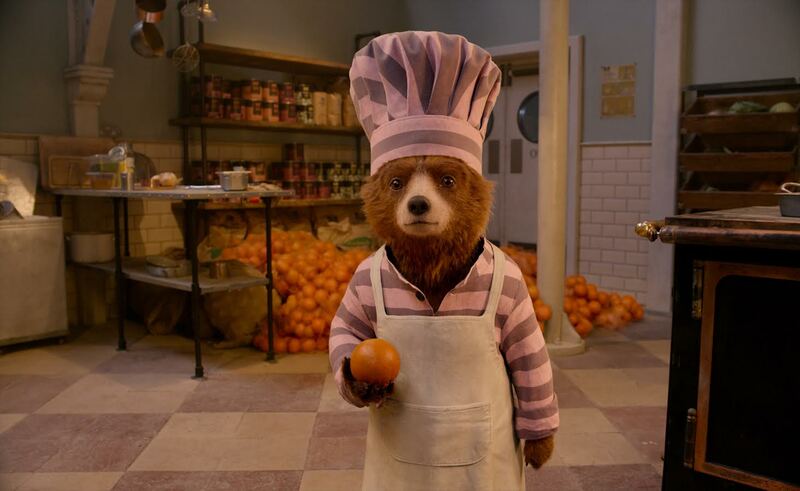 Paddington 2 stars: Hugh Bonneville (Downton Abbey), Hugh Grant (Four Weddings and a Funeral), Sally Hawkins (Jayne Eyre), Brendan Gleeson (Into the Storm), Julie Walters (Mamma Mia) and Ben Whishaw (The Hollow Crown) as the voice of Paddington." If you are like me and are looking for things to do with your family that involves not being cold, well, head to your closest theater this weekend!